You can extract texts or phrases from a character variable using the SUBSTR function. Let's take a look at the PHONELIST data set below. 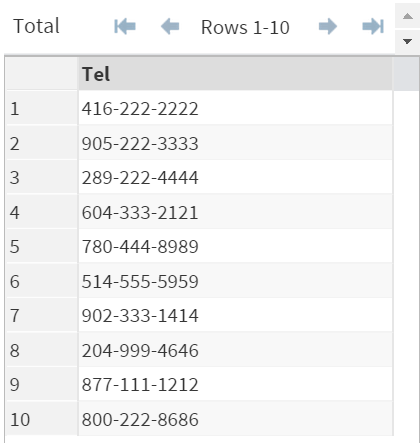 The PHONELIST data set above contains a list of phone numbers. Now, let's take a look at an example of the SUBSTR function. Note: the 2nd parameter is 9. The 2nd parameter tells SAS the position where the extraction begins. In our example, the extraction begins at the 9th position. The SUBSTR function will extract the portion of the character value from the 9th position till the end of the character value. You can also specify the number of characters to extract. 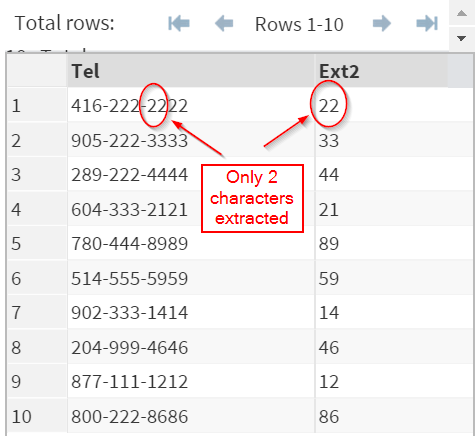 When using the SUBSTR function, you can add a 3rd parameter to tell SAS the # of characters to extract. In our example, the third parameter is 2. 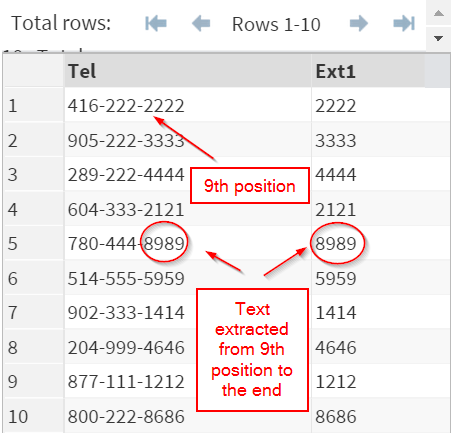 SAS will start the extraction at the 9th position and read 2 characters. As a result, only the characters from the 9th and 10th position are extracted, as demonstrated in the image above. Write a SAS program to extract the area code (first 3 digit) from the variable TEL.